Scrap Metal Recycling Line - WANROOE MACHINERY CO.,LTD. 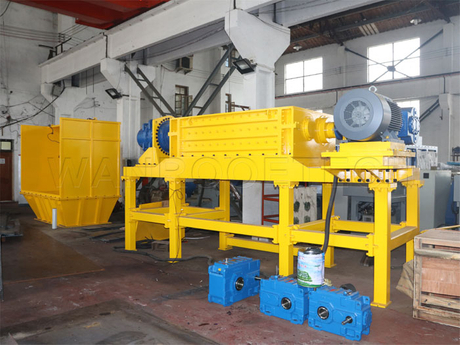 The Scrap Metal Crushing & Recycling line is developed by WANROOETECH Company. 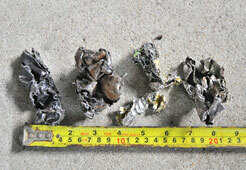 The car shell and wasted metal (such as wasted iron, aluminium and engine casing ect) will be crushed, separated by the recycling line, after that, the wasted metal could be reused easily. 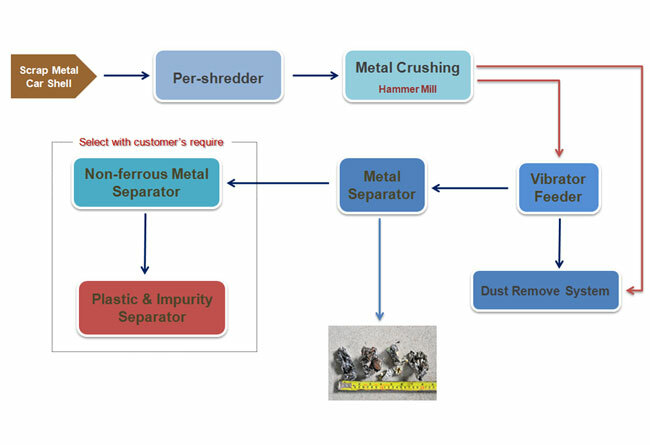 3E Company has already got the national invention patent and utility model patent for this recycling line. Blades ● Various blades. For thin material, it will use VZ type blade which is suitable for coarse crushing and is good for improving the capacity. 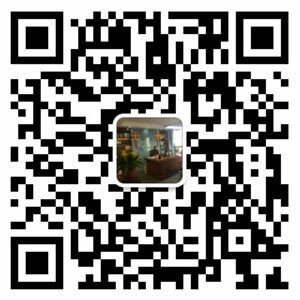 The service life for welding blade is longer and the maintenance for welding blades is easier. ● When it recycle thicker material, it could use detachable blade which is easy for installation, and more wear-resisting, easier for maintenance. Characteristic ● Low power consumption, Small and medium-sized processing, Easy maintenance, low maintenance cost. 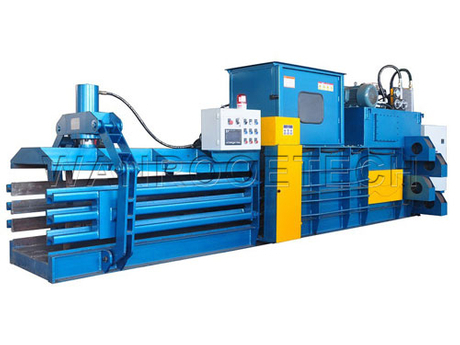 ● It adopts hydraulic motor instead of gearbox for metal shredder, so the torsion has been improved, it make the shredding process to be steady. At the same time, it reduce the probability about Mechanical damage.